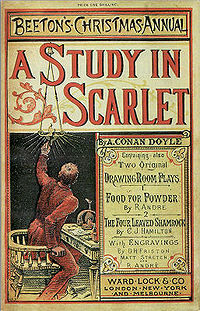 And indeed, that very same story was later published in the 1887 issue of the magazine Beeton’s Christmas Annual under the renowned title A Study in Scarlet. Such were the humble beginnings of one of the greatest sleuth of all time – Sherlock Holmes. In every part of the world today, the character known as Sherlock Holmes, commonly depicted with a deerstalker (a checkered cap with brims in the front and back and a pair of ear flaps on each side) together with a cape, has become synonymous with the cool use of deductive reasoning and intelligent application of logic in solving the most perplexing of mysteries and hunting down the most crafty of lawbreakers. 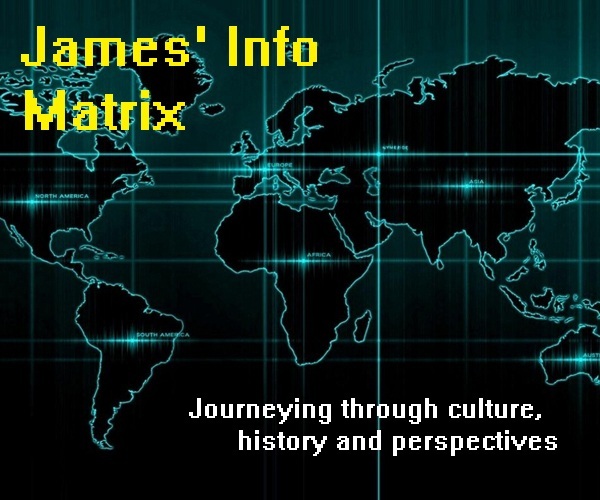 From countless motion pictures to various literary spin-offs to even Japanese animations and video games, the reputable sleuth has been a major influence in the global literature and entertainment industry since his inception in 1887. 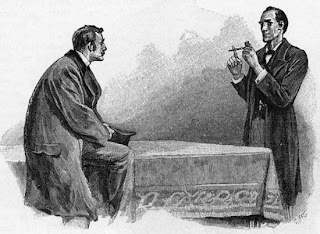 In fact, many principles of deduction and investigation as applied by Sherlock Holmes have even left their stamps in the academic fields of forensic science and medicine. Despite his widespread fame and influence, Sherlock Holmes is nonetheless a fictional character produced from the creative imaginations and ideas of the renowned and prolific writer Sir Arthur Ignatius Conan Doyle (1859 – 1930). 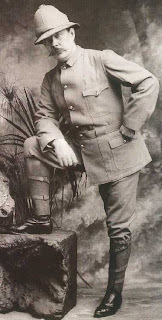 Conan Doyle, born in Edinburgh, Scotland in 1859, graduated in medicine from the University of Edinburgh in 1881, after which he served as a ship physician in voyages to West Africa and the Arctic. Upon returning to England, he began setting up a medical practice in Plymouth in 1882 with a former medical classmate. 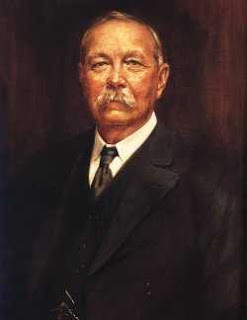 Nevertheless, problems cropped up in between the both of them and as a result, Conan Doyle left and subsequently established his own practice in Southsea, Portsmouth in June 1882. For Conan Doyle, financial problems were his constant companions; he actually had to write fiction to earn some extra income during his student days. Moreover, he started his independent practice in Southsea with just a mere £10 in his pocket. Conan Doyle’s stint of medical practice in Southsea proved to be rather unsuccessful; hardly any patients ever came to see him. As a result, his financial burdens did not improve much, and he had to resort to writing fiction once again in order to sustain a living. The lack of patients at his practice gave him ample free time to sit down quietly and write fictional works that eventually became his major source of income. It was not until one fine day when Conan Doyle came up with an idea of writing a detective story using a character modelled after his former university lecturer Dr Joseph Bell (1837 – 1911). Dr Bell was a famous lecturer at the medical school of the University of Edinburgh who was very popular amongst his students for his remarkable abilities in making diagnoses and deductions from close observation. 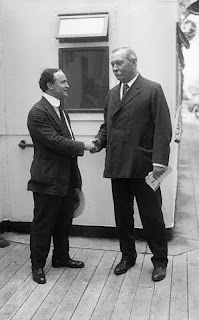 Dr Bell often proved his abilities to his students by picking up strangers, making close observations and accurately deducing their occupations and recent activities. Dr Bell’s remarkable skills of deductive reasoning subsequently became a major inspiration for the creation of Sherlock Holmes. At a time when crime and mystery literature was not yet well-developed, Conan Doyle made a major breakthrough with his creation of Sherlock Holmes. Though detective stories were already existent at that time since Edgar Allan Poe’s creation of the first ever detective story more than 40 years before, none of them were able to achieve widespread popularity among the masses. The appearance of the first ever Sherlock Holmes story in the 1887 issue of Beeton’s Christmas Annual, a novel entitled A Study in Scarlet, set the standard for crime and mystery fiction and started off the Holmesian fandom that has been growing up to now. This first Sherlock Holmes story earned Conan Doyle £25 (about $125 based on the current exchange rate), which then encouraged him to write his second Sherlock Holmes novel, entitled The Sign of Four, which was published in 1890 in Lippincott’s Monthly Magazine. Since then, he started writing several short stories featuring Sherlock Holmes, which were published in the monthly Strand Magazine. Sherlock Holmes became an immediate success, in which his popularity rocketed sky-high in just a short period of time. Each month, people would diligently and patiently queue up at newsstands to purchase a copy of the Strand Magazine for a new episode of Sherlock Holmes. The ever-increasing popularity of the great detective brought tremendous monetary rewards for Conan Doyle, until he was finally able to overcome his financial difficulties. 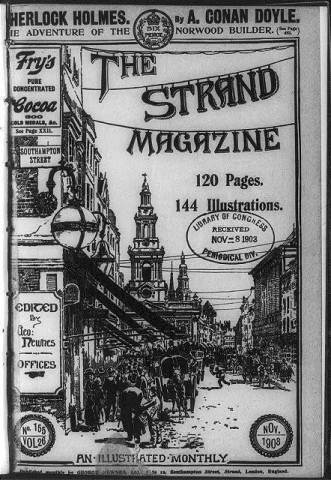 As time passed, however, Conan Doyle could no longer tolerate the tight deadlines that he had to meet to submit a new Sherlock Holmes short story for each issue of the magazine. He frequently complained that writing detective stories required the concoction of extremely elaborate plots demanding the mental work of novels. He also personally regarded his Sherlock Holmes stories as low-grade achievements and was himself more interested to write historical novels such as The White Company, which he regarded as his finest work. To him, writing detective stories to satisfy public demand was a burden that shifted his attention away from his finer passions. Despite huge pressure from the public, Conan Doyle remained unyielding in his decision. He committed his time to producing more serious works, particularly historical-themed novels. Nevertheless, despite pouring his heart and soul into writing the historical-themed works that he was more passionate about, none of them were able to capture the attention and garner the favour of the public like how Sherlock Holmes did. None of his non-Holmes literary works were able to match the popularity that the amazing sleuth commanded from his extensive audience. Conan Doyle never relented from his firm decision until eight years later, when an idea struck him for a novel that involved detective work. He clearly outlined the entire storyline, and all that was left was to put in a character for the story. At that point, he decided that it would be better to use Holmes rather than create a new detective character. Consequently, The Hound of the Baskervilles was published in 1901, whereby the story was set prior to Holmes’ death at the Reichenbach Falls. The novel succeeded in garnering immediate attention and remains one of the finest masterpieces of crime and mystery literature up to this very day. 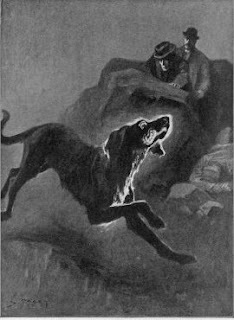 Although The Hound of the Baskervilles was able to satisfy public hunger for Holmes stories temporarily, demands for more adventures of the great detective soon escalated to unquenchable levels. In the end, Conan Doyle conceded and brought the great detective back to life in his next short story, entitled The Adventure of the Empty House. 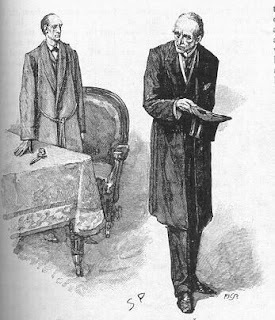 In it, it was explained that Holmes did not actually fall to his death at the Reichenbach Falls; only his archenemy, Professor Moriarty did. After “reviving” Sherlock Holmes, Conan Doyle continued writing one more Holmes novel and many more Holmes short stories. He continued writing Holmes stories until 1927, three years prior to his death. Throughout his lifetime, Conan Doyle produced four novels and 56 short stories featuring the intelligent and seemingly undefeatable detective. 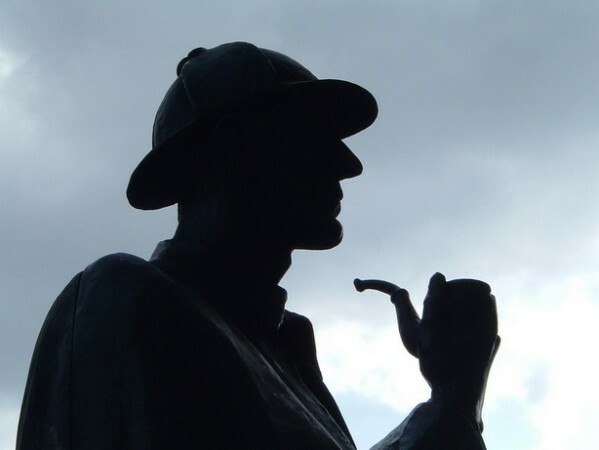 Since Conan Doyle’s death in 1930, all of his Sherlock Holmes stories have been translated into more than 50 languages, and the great detective has been featured in countless works of other authors and scriptwriters.